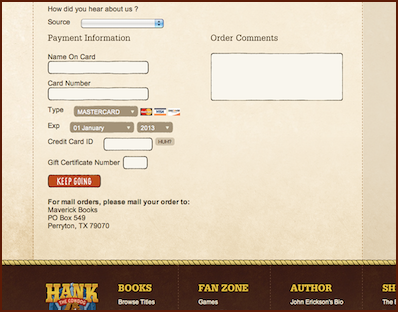 Getting SIGNED Hank the Cowdog books for Christmas! It's that time of year!! And, here's an easy, how-to for getting GREAT Christmas presents for your friends and family: signed Hank the Cowdog books. p.s. Just so you know: We do ship all books by Priority Mail, and orders requiring autographs should be placed before SUNDAY, December 18th and will almost surely arrive in time for Christmas (Lord willing, and if the creek don't rise). All other orders (not requiring autographs) should be placed before NOON ON TUESDAY, December 20th. Merry Christmas from all of us at the ranch!